​-Pricing varies depending on the number of guests, necessary staffing, venues, travel, etc. With the Knot Too Shabby Package, we’ll research and call vendors, visit sites and suggest creative ideas so that you can have the wedding of your dreams without having to quit your day job! A fantastic option for those planning a destination wedding and find it isn’t practical to make frequent visits. ● Assisting with handing out wedding flowers, pinning on corsages, boutonnieres, etc. ● Helping wedding party to get in place to walk down the aisle. Making sure flowers are held correctly, timing is perfect, wedding dress trains are straight, etc. ● Making sure wedding reception area is set-up as planned, candles lit, DJ on schedule, etc. ● Providing a stress-free wedding day for the couple and their families! "Melissa is AMAZING! She was absolutely crucial to the planning/execution of our day. We were planning a wedding in south eastern NC from our current home in Michigan, which poses it’s own set of unique problems. For this reason, we did the full-service package that Knot Too Shabby offers, so Melissa was with us every step of the way! She helped us decide on a theme/vision, and then assisted us in finding and hiring vendors to make that vision a reality. And the day turned out absolutely perfect; even better than we ever could have hoped for. Not only did she help with the planning, but she was a constant contact for the vendors, and her (and her team’s) coordination of vendors and work on the day of was PRICELESS. We truly cannot imagine what our day would have been like without her. Because of her and her team’s work, we were able to be simply present and embraced by the love shared by each other and our loved ones on our wedding day. We are so thrilled to have picked Melissa and her team as our partners for this process and would highly recommend them to ANYONE looking for local planners. 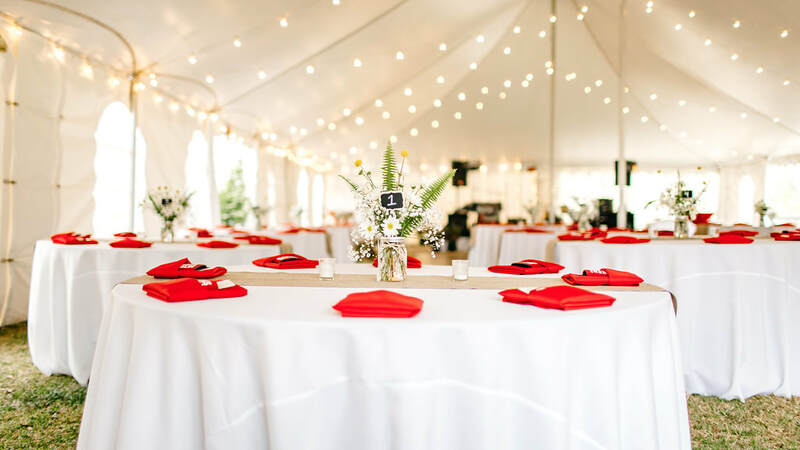 With Knot Too Shabby Events working with you, you can have complete confidence that every detail will be attended to and your vision will be realized (and probably then some). Thanks again Melissa and everyone from the Knot Too Shabby team!"